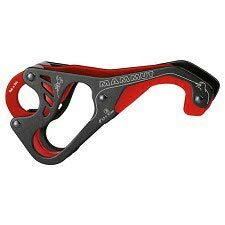 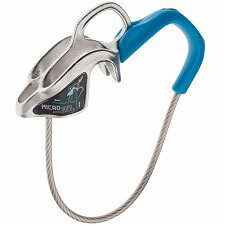 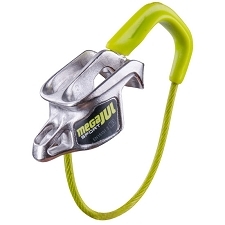 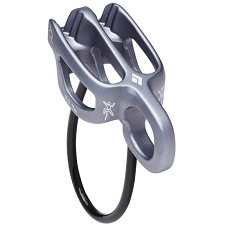 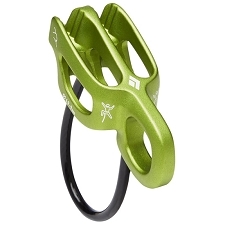 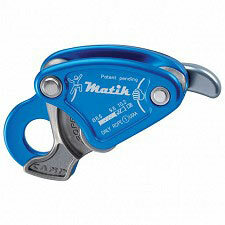 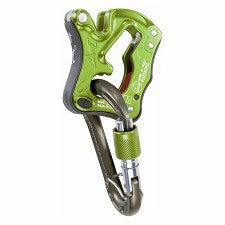 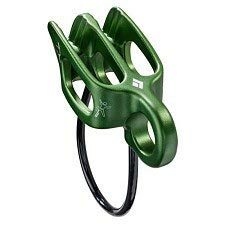 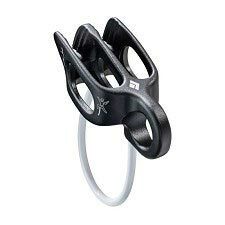 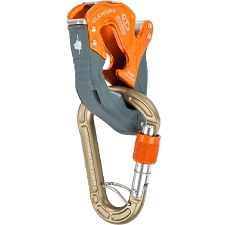 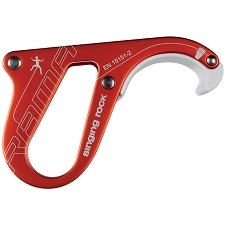 The GRIGRI + is an assisted braking device designed for all climbers and for intensive use. 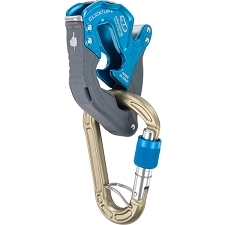 It can be used with all single ropes (optimized for 8.9 to 10.5 mm diameter ropes). 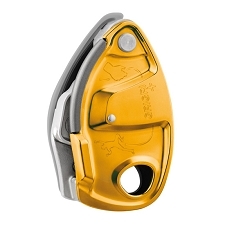 The reduction handle offers exceptional descent control. Particularly suitable for learning, the GRIGRI + has an anti−panic handle and a special mode for comfortable top−rope belay. 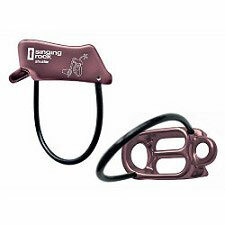 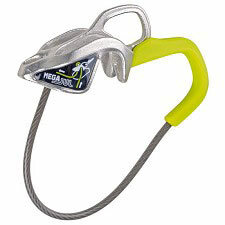 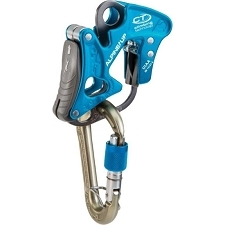 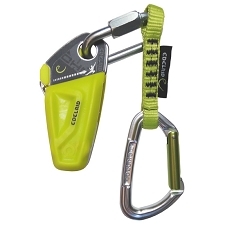 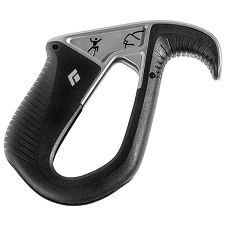 If the user pulls too hard on the handle, the anti−panic function brakes and stops the descent automatically.Includes diagrams for rope installation engraved on belay device (interior and exterior). This intensive use device is extremely durable thanks to the stainless steel wear plate. 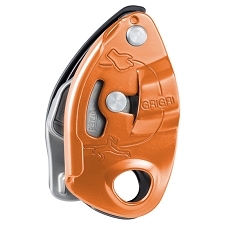 Nice update to the Grigri design. 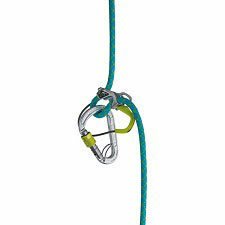 Smoothly pays out and takes in rope, as well as improved handling while lowering. 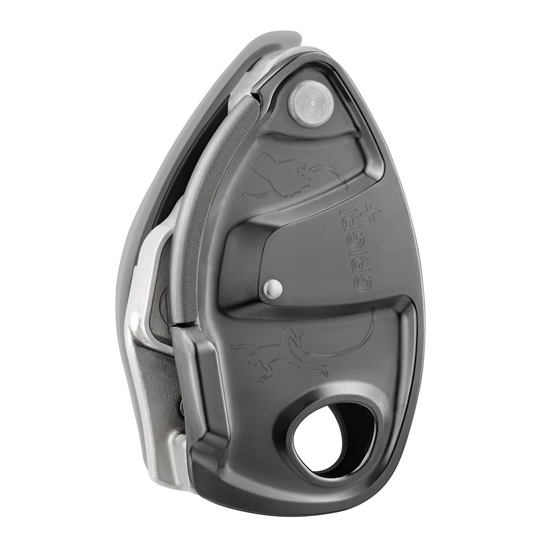 The wear plate for increased durability and the anti-panic mechanism on the lowering handle are nice add-ons, too, though the difference between the toprope and lead modes is negligible. 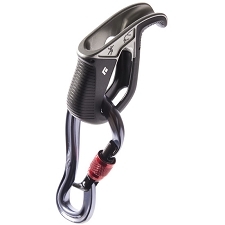 Lightweight and compact, it's definitely worth the extra investment. 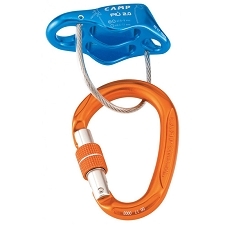 Corrige los fallos del grigri2 y añade un plus de seguridad. 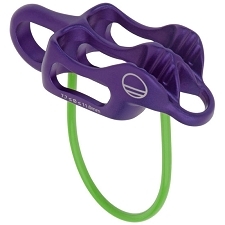 El antipánico no es tan sensible como había escuchado, sólo queda ver la durabilidad.